Modern bathroom fixtures come and go with most home owners playing it safe by choosing typical chrome tapware. So if you want to be traditional and safe them maybe this feature isn’t for you. However, if you like to push the boundaries of design, and colour, then read on. Black is the new black. It’s the new hottest colour in the bathroom with matte black being particularly popular right now. Technically, black isn’t a colour (neither is white) but for the purposes of modern bathroom fixtures it’s the coolest hot colour around. When styling your home, give it a second look. 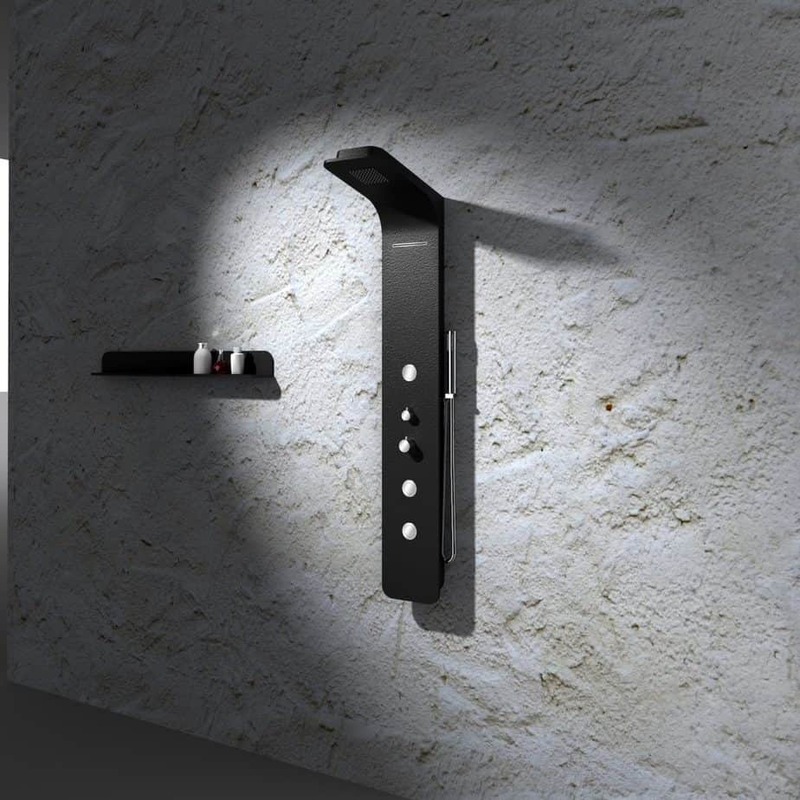 The iStone Shower Column is available in a range of stylish colours including the very on-trend matte black, matte white, matte white with matte black trim, white veined, and black veined. Distributed exclusively by Paco Jaanson RRP starts at $4,400 and shower base RRP from $990. Have you ever thought of having a black bath? Why not? It makes for a devilishly good soak and it certainly a conversation piece. 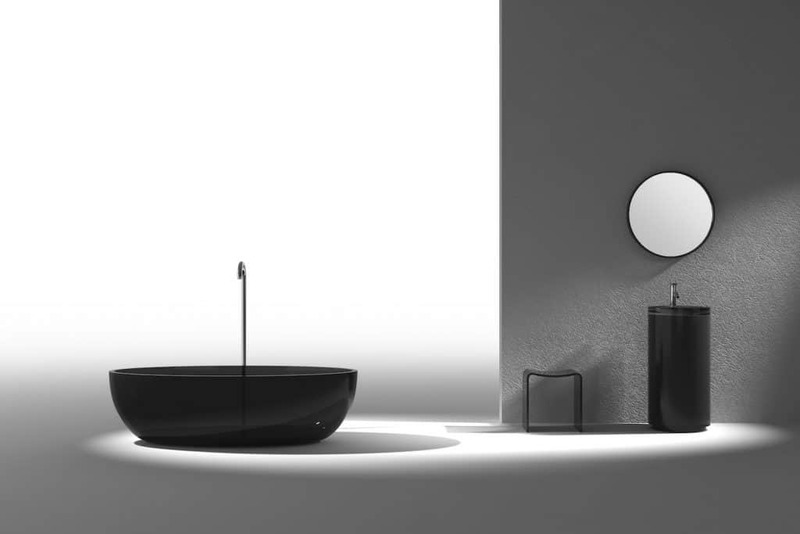 Whilst ZAAFDesign has a range of coloured baths in the same range, their black bath is a real centerpiece; literally. Free-standing baths are gaining great popularity and these are particularly curvaceous and stunning. Smooth edges, a strong structure and boasting luxurious spaciousness the Colour Design Bathtubs are also exclusive to Paco Jaanson in Australia. Your stylish bathroom will thank you. Black-veined marble is being seen in the most stylish of bathrooms. 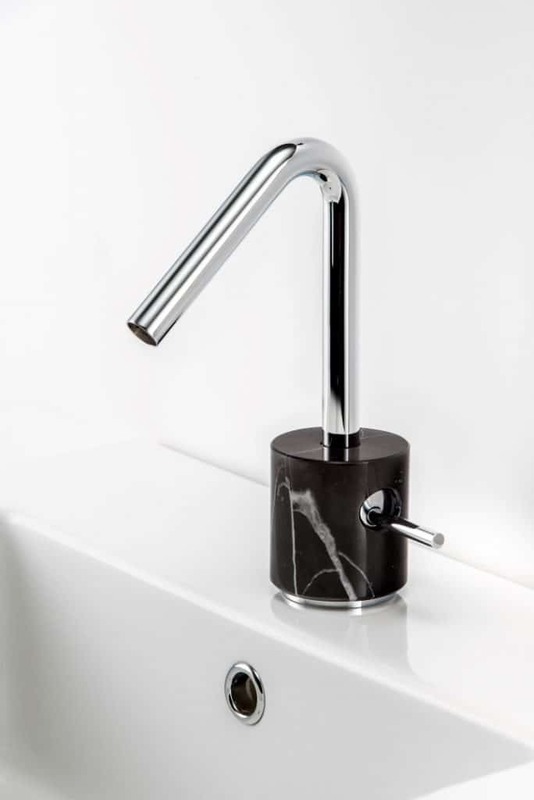 Released by iB Rubinetterie, Marmo is a range of wash basin mixers, soap holders, and divine hooks to accessorize your immaculate black, or white, bathroom. At Salone Internazionale del Bango in Milan, creators Antonio Gardoni and Federico Castelli were short-listed for the Young & Design Awards which rewards young designers. Marmo is a complete series of 72 models ranging from basin and shower mixers to shower accessories. 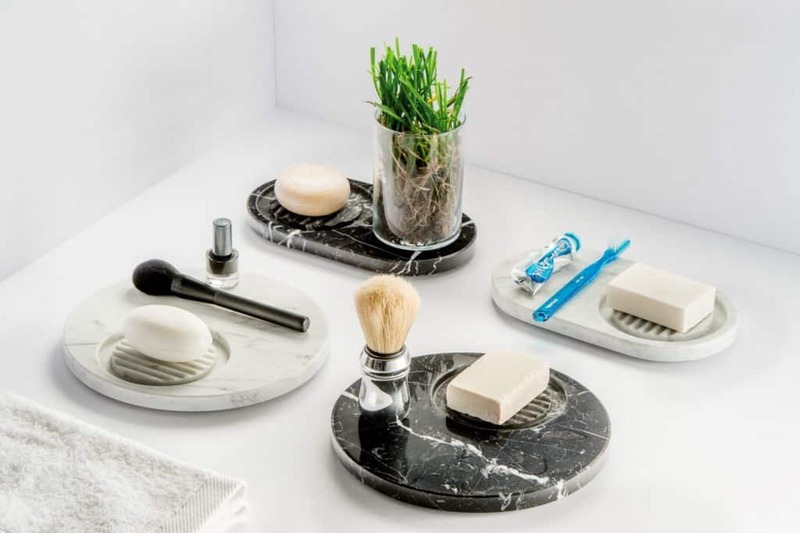 Each piece is unique, handcrafted from white Carrara and black Marquina marbles. The elegant beauty is complemented by strength and power coming from the integration of metal, stone, and water in striking geometric shapes. iB Rubinetterie selects, cuts, and polishes the stones ensuring uniqueness and emphasizing the always-different marble veining. Exclusive to Paco Jaanson in Australia find out more on their website. Kelly Hoppen is one of the world’s most high-profile and sought-after Interior Designers. I’m crazy for her new Zero 2 basin mixers designed in collaboration with iB Rubinetterie. So if you can’t decide on rose gold or black, have both. These unique mixers have upped the WOW factor by introducing matte mixed with metallic. Choose your stem in glossy rose gold, gold, white, warm grey, or matte black. 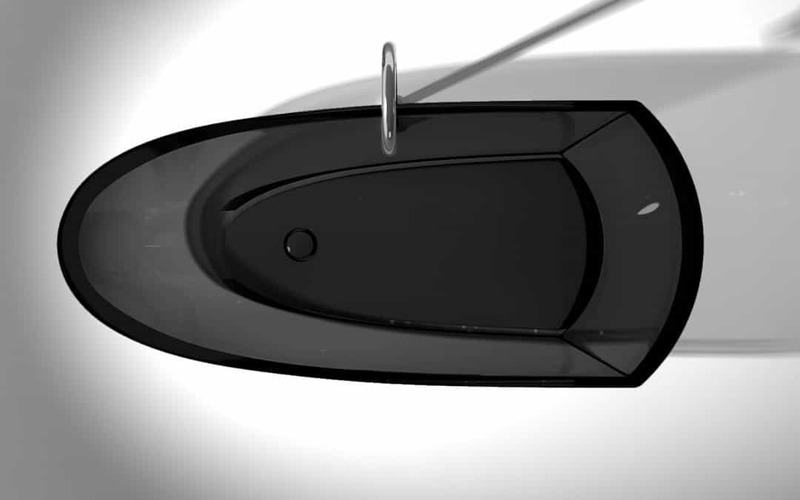 Then choose the colour of your lever in glossy black, white, warm grey, or rose gold. 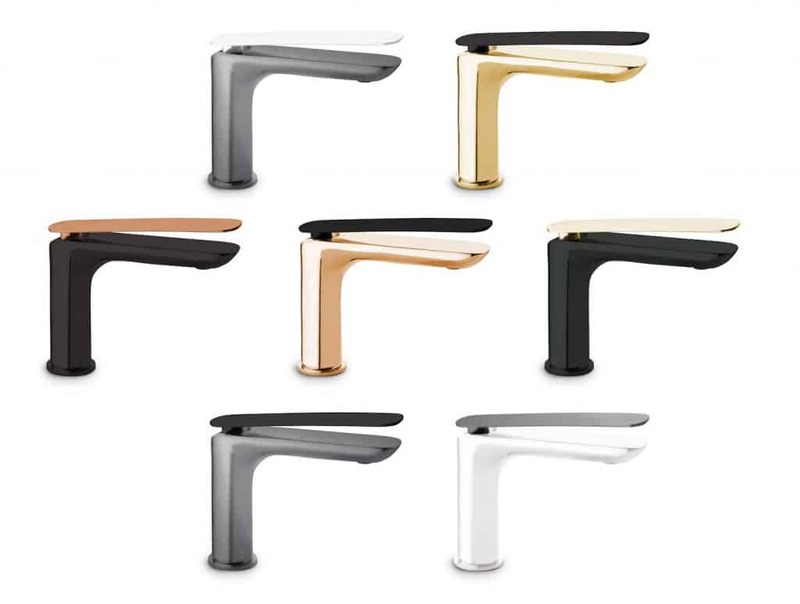 Manufactured from chrome plated solid brass, this tapware is as durable as it is beautiful. Exclusive to Paco Jaanson in Australia. RRP from $660. Check out opulent black and gold bathrooms, clean crisp black and white bathrooms, and expert advice on designing ensuites and bathrooms.